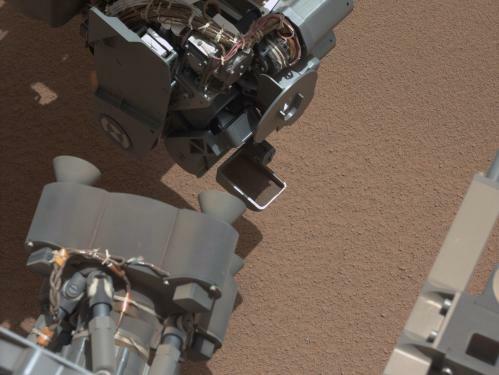 ScienceDaily (Oct. 12, 2012) — The first Martian rock NASA’s Curiosity rover has reached out to touch presents a more varied composition than expected from previous missions. The rock also resembles some unusual rocks from Earth’s interior. 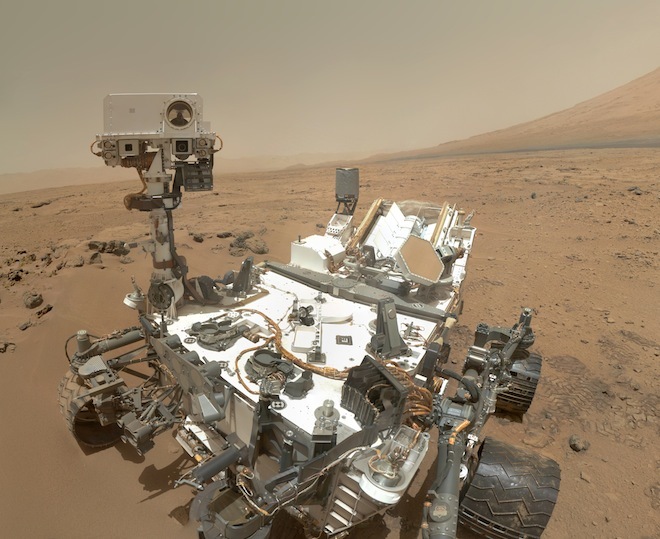 The rover team used two instruments on Curiosity to study the chemical makeup of the football-size rock called “Jake Matijevic” (matt-EE-oh-vick). The results support some surprising recent measurements and provide an example of why identifying rocks’ composition is such a major emphasis of the mission. Rock compositions tell stories about unseen environments and planetary processes. The Nasa rover Curiosity has beamed pictures back from the red planet that appear to show the remnants of an ancient stream which once ‘ran vigorously’ on the surface of Mars. The discovery of bedrock and pebbles, which appear to indicate there was once fast moving water on the planet, was described by the mission’s chief scientist as ‘exciting’. Pebbles, that appear to have been rounded off by water, have offered the most convincing evidence yet that there was water on the surface of Mars. ScienceDaily (Sep. 14, 2012) — NASA’s long-lived rover Opportunity has returned an image of the Martian surface that is puzzling researchers. Opportunity is investigating an outcrop called Kirkwood in the Cape York segment of the western rim of Endeavour Crater. The spheres measure as much as one-eighth of an inch (3 millimeters) in diameter. The analysis is still preliminary, but it indicates that these spheres do not have the high iron content of Martian blueberries.